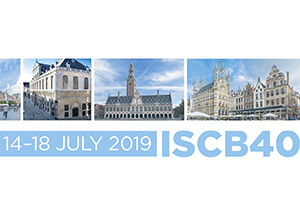 The 40th Annual Conference of the ISCB is taking place on July 14-18, 2019 in Leuven (Belgium). Like previous annual conferences of ISCB, the 40th conference includes talks on a broad spectrum of statistical topics, such as recent advances in mediation analysis, challenges of rare diseases, health economics and e/m‑health, infectious disease modelling, recent advances in clinical trial methodology, and many more. The scientific program promises to be of interest to statisticians, clinicians and members of other disciplines related to clinical practice, such as epidemiologists, clinical chemists and clinical pharmacologists. The highlights of the program are plenary talks by ISCB President’s Invited Speaker (John Ioannidis) and Keynote Speaker (Peter Thall) and eight invited sessions on key topics related to clinical trials, epidemiology, and general statistical methodology. A special component of the program is the memorial session devoted to Doug Altman, one of the most known biostatisticians who contributed a lot to the ISCB in the past. Traditionally, the program is completed with contributed parallel sessions and pre‑conference courses. Following the successful first experience at the 37th conference, a Early Career Biostatisticians’ Day will be organized to provide a unique opportunity for early career researchers to share experiences from their training and to practise their presentation skills in a less formal environment.